Happy 4th of July! I recently went on a mini road trip to Atlantic City with some gal pals, which I will be recapping in a couple of travel post on here. 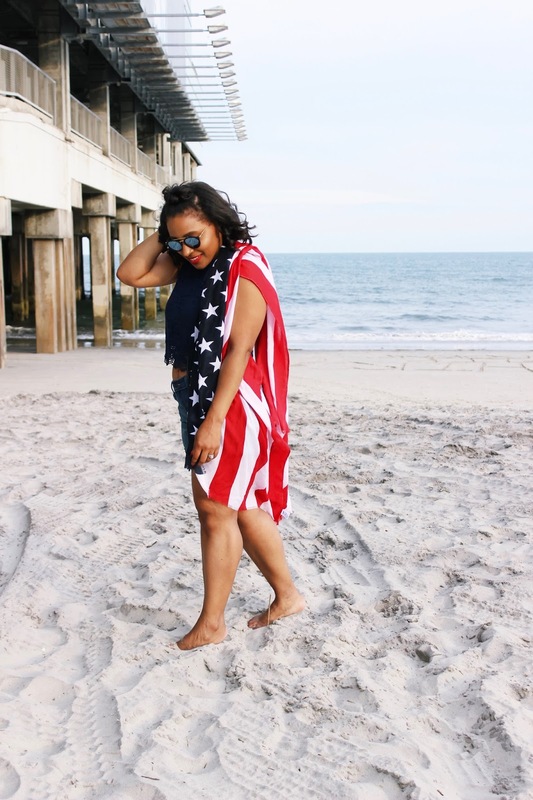 We definitely stopped by the beach and I did a mini 4th of July shoot. Old Navy is having a massive summer sale and I found this patriotic scarf on sale for $3. It even doubles up as a beach towel to sit on. The water was freezing but that was expected, it's not Caribbean water lol, but I love the beach. It's one of my favorite things to do during the summer. Pattyyyy que cuerpaaa!!!! Loved this post! I can't wait to go visit you girls! Happy 4th!!! I'm sure that you have a great 4 of July! La verdad es que estás preciosa mi vida, me encanta el look completo!